Poetry writing requires no license, no education, and no experience. All you need to get started is a pen and some paper. In fact, many writers discovered their calling because they were compelled to write poetry at a young age. But there’s a big difference between writing poetry and writing good poetry. Opinions about the art and craft of good poetry are many and varied. Some hold poetry to a high academic or literary standard. Others appreciate the fact that poetry writing provides a creative and healthy form of self-expression. I believe that all poetry is good in the sense that anything that comes from the heart or anything that speaks truth is good. The poem itself may not win any awards, but the act of writing it can be mood-altering, healing, and maybe even life-changing. Many poets pursue the craft with a clear goal: they want to get published. Others write poetry because they find solace in the work. They don’t care about readers, publication, or awards. And plenty of writers fall in between; they write for the joy of it but also with a desire to continually develop their poetry skills with hopes of getting published one day. I don’t read poetry because I don’t want other poems to influence mine. I want my poetry to be raw and original. I write from my heart; it’s a form of self-expression. Poetry is an art form, so there are no rules. It’s my style (I’ve heard this about poems written in all-caps, for example). My mom/friend/teacher said I have talent. There’s nothing inherently wrong with any of these arguments. But if you want to get published — if you want your work to be taken seriously by the literary world and by readers — you’re going to have to step up your game. You’ll have to stop making excuses and learn how to write better poetry. When we first start writing poetry, our work is amateurish and awkward. We might make poems that are cute or silly, poems that don’t make much sense, or poems that are murky, excessive, or verbose. We express ourselves but fail to generate poems that compel readers. But with practice and by putting a little effort into our poetry writing, our poems can blossom and become riveting — for us and for our readers. Read poetry: Too many young and new poets don’t read poetry. I get it. A lot of the poems you come across don’t grab your attention. The stuff you read in school was unwieldy. But if you look hard enough, you will discover good poetry that you will fall in love with. Go on a personal quest to find it. In order to grow as a writer, and especially as a poet, it’s imperative to familiarize yourself with the canon, which has already proven to resonate with readers. By seeking out established poets whose work you admire, you will build a roster of mentors. Try reading poems aloud. Keep a notebook or journal in which you can write your thoughts and responses to various works, and jot down your favorite excerpts. Bonus tip: you can also watch or listen to recorded or live poetry. Write regularly: Beginning poets have a tendency to take up the pen only when the mood strikes. By engaging your creativity on a daily basis, the very practice of poetry writing will become habitual and ingrained as part of your daily routine, and it is through daily practice that our poetry skills improve. Allow yourself to write badly: Allowing yourself a large margin for writing poorly or below your own standards will give you a freedom in your writing and room to explore your poetry on broader and deeper levels. Study and learn to speak in poetics: Poets have their own language. When they mention couplets and iambic pentameter, you should know what they’re talking about. Study literary devices and learn how to use them in your own poetry. That alone will kick your work up a few notches. There are many books available that will help you understand poetry intricately and will familiarize you with terms and definitions, such as alliteration or trochee. 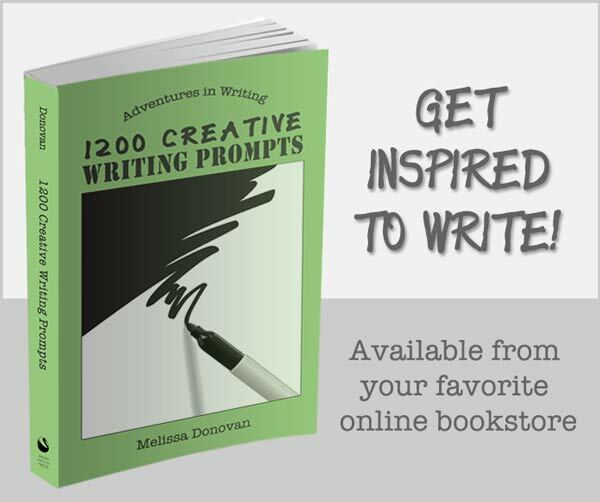 Such books provide detailed analyses and teach you new ways to read and write poetry. To get started, look for A Poetry Handbook by Mary Oliver or try The Practice of Poetry by Robin Behn and Chase Twichell. Do poetry writing exercises: It’s easy to sit down and scratch out a poem. Writing exercises present challenges and provide new ways of thinking and being creative within an established framework. Some poetry exercises will produce your best work but also teach you to approach poetry in an innovative and more imaginative manner. Embrace best practices and techniques: It’s true that there are no rules in poetry, but there are a few best practices, like eliminate any unnecessary words, don’t arrange words awkwardly to fit a rhyme scheme, and use imagery. When it comes to poetry, you really want to follow the old adage: show, don’t tell. Seek feedback from objective, well-read people who are familiar with poetry. When something in your poem isn’t working for one of them, don’t say “Oh, that’s my style.” And if it is your style, then consider that your “style” isn’t working. Revise. Revising your work goes hand in hand with allowing yourself to write badly. You can always go back and make changes. Some new writers insist that once they write a poem, that’s it. They believe the art is in the original creation and it should never be altered in any way. While this is certainly one way of looking at poetry as art, there is another philosophy that believes revision is necessary for true creative freedom. In knowing that you can go back and refine your work later, you will give yourself more liberty in your initial writing, opening creative channels to greater possibilities. Poetry teaches us how to access rich language and produce vivid images in our writing. It is one of the best ways to develop comprehensive and creative writing skills, even if poetry writing isn’t really your thing. Poetry writing will take you on an exciting adventure through language, and the very act of working to improve your poetry is a journey that many writers find exhilarating. 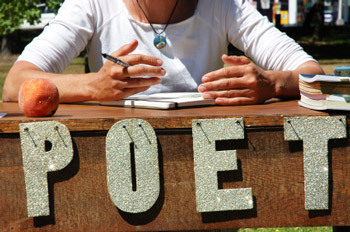 Do you have any tips for writing better poetry and developing your poetry skills? Share your thoughts by leaving a comment. All excellent advice. I try and write something every night and you do find that you get into a mindset, a way of thinking in poetic frameworks. I do also try to vary my styles around a bit and not be too formulaic. I try to write every night too, and if I miss a night, it really messes me up. I can’t add any new tips to this, but I would like to say that experience has proven and enforced all of the above without a doubt. Writing poetry requires a lot of practice in observation. Many people look at at object and describe the same typical features. A poet has a greater depth of perception. People enjoy reading what poets write for the benefit of momentarily seeing an ordinary object from an expanded point of view. Without this, poetry is dull and not worth the effort to read. So I will add to your excellent advice to take extra time to practice and develop refined observation skills. Observations skills are essential for all writers. From paying attention to ordinary objects to enrich our descriptions of them to fostering empathy and an understanding of the human condition, observation is important to the craft. You have some wonderful advice. Thank you for sharing this. I used to write poetry all the time in high school but then I felt like I lost my creativity. Maybe one day I will try to write again. Thanks for your kinds words, Ashlie. I think that as teenagers, we are more emotional and hyped up due to hormones and normal human development, and these feelings often fuel creativity. It’s common for people to feel less creative as they age. But we can actively search for inspiration and reach inside to reconnect with emotions, wonder, and creativity. Thank you so much. I will surely use these tips. I write them for fun, i mean, just expressing barely how i feel and react to different variations. I also write poems about friends to let them know how i feel about them and their current situations too. They do appreciate (not all of them of course) and i feel inspired. I’ve always felt that poetry is one of the best ways to express oneself. I hope you’ll stick with it. Thanks so much for this – really helpful and clear advice. I feel much more motivated to put effort into writing having read this article and look forward to exploring the rest of your site. Thanks, Rachel. I hope you continue to find Writing Forward helpful. Love the advice!Expanded vocabulary gives a poet building blocks for poetry.